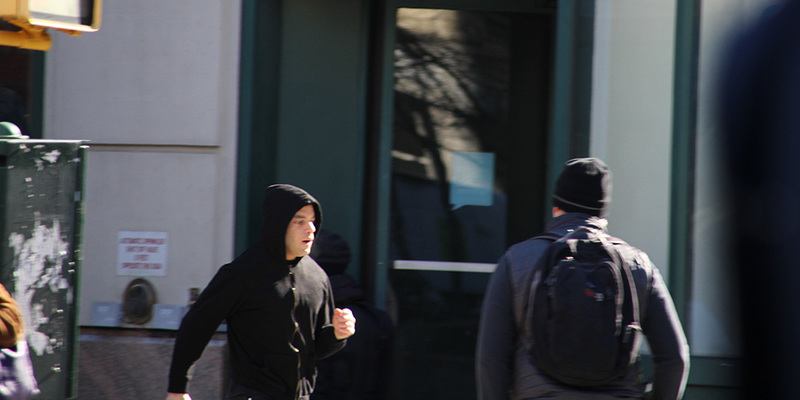 Oscar-winning actor Rami Malek was shooting a simple stunt scene on the Upper West Side on Monday, March 18th. The scene called for Elliot Alderson to run down the sidewalk as a crowd is exiting a movie theater. Elliot bumps into a baby stroller filled with aluminum cans, falls down, gets up and keeps running. A stunt double did the run and tumble, while Malek got up from the stroller crash and ran down the sidewalk. You can see Malek's part in the video below. This is production of Mr. Robot Season 4, its final season. The USA Network show has garnered Malek with an Emmy and time off to acquire his Oscar playing Freddie Mercury in Bohemian Rhapsody. Mr. 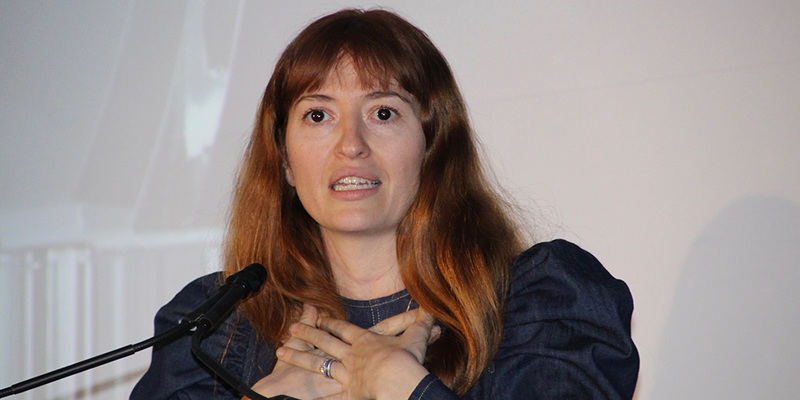 Robot was created by Sam Esmail and produced by Universal Content Productions.